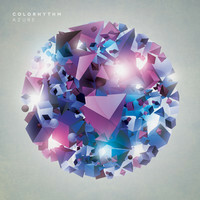 Slime warmly welcomes back Russian producer Colorhythm to the label. Since his debut on the imprint with ‘Palette’, he has been refining his sound into something even more sensual than his last effort. For his return, he delivers a brace of laidback classics in the making. ‘Azure’ drifts into view like early morning sunlight through rain-soaked trees. Chords glide in and fuse against a hazy breakbeat whilst melodies flutter around the mix, transporting you to lazy summer days drenched in heat. ‘NRG’ plays with the more traditional elements of rave music, extrapolating a euphoric chord sequences and mixing it with a skittering half-step rhythm for maximum impact. ‘Charm’ takes the tempo down a few notches for a sublime slice of laidback dubstep. Shot through with an R&B sensibility, this has a rich personality all it’s own. A perfect partner for sipping that long cool drink with on those hot neon-soaked city nights. Labelmates BSN Posse and Akin take the lead track apart and deliver some stellar results; BSN Posse strips it back into a slow tropical jam with a distinctly 80s flavour, percussion percolating in the background as the melodies bloom into full view. Akin delivers two takes, with the first a beautiful autonomic odyssey and the second a sublime journey into blissed-out electronica.